The USDA of course shocked the market with higher than expected corn and bean yields, and also a massive increase in Russia’s wheat crop. Grain demand, meanwhile, is rather stagnant, and so weather premium has been taken out of the markets completely. We at AgResource have disagreements with the USDA’s first guess on yields (note that they pegged US corn ear counts at the lowest level in five years, thereby putting a lot of pressure on weights), but until combines start to roll, USDA balance sheets will (and have) determined prices. But, in addition to a bearish August WASDE, seasonal price action is simply bearish in late July and August, barring crippling droughts. 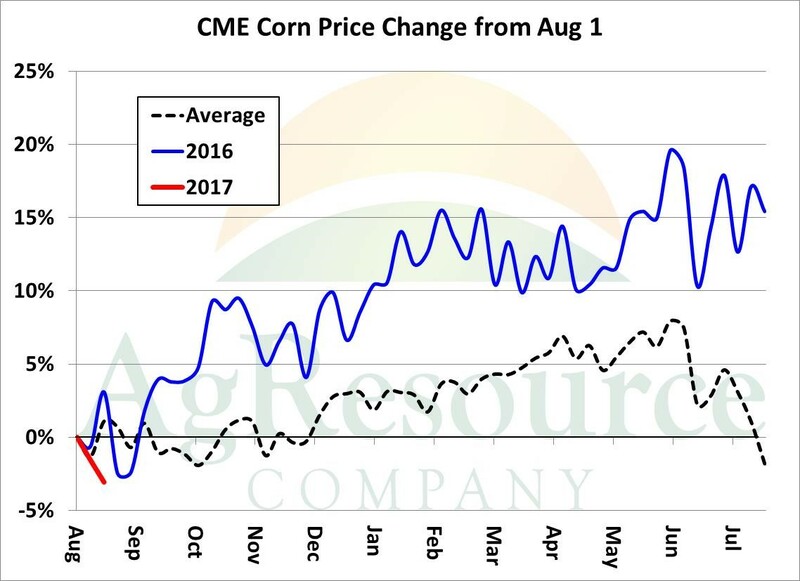 The graphic above displays corn price changes from August 1. Bottoms are more often than not scored in August or early September. This suggests additional downside risk remains, but also one should not extend sales if they don’t have to. Notice, too, that even in years of record production (2016) the path of least resistance is higher into late year. And it’s just not corn, but the same seasonal trends for a host of markets. 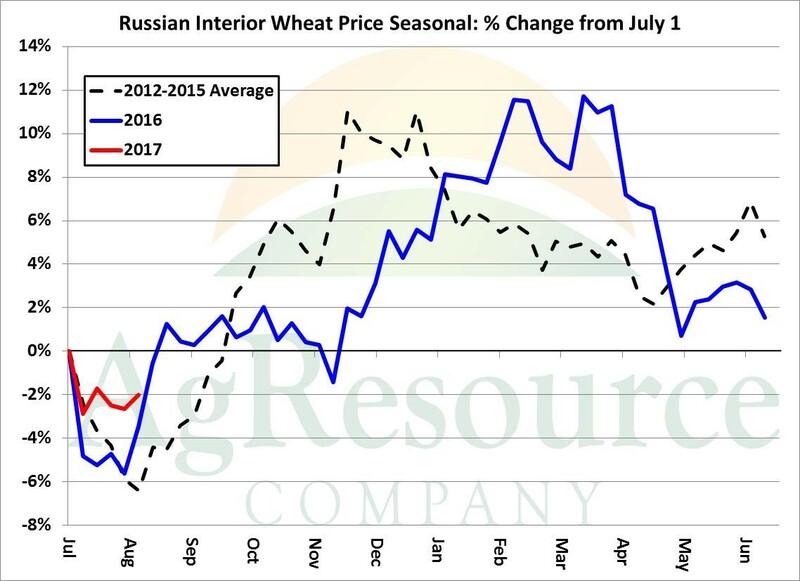 Russian wheat, the world’s driver of wheat price, tends to stay rather weak into mid-August, rallying thereafter into Nov/Dec. And so on. The same trend holds in soybeans, South American corn basis, Australian wheat, etc. Our advice is to be patient, and we expect lasting bottoms in many markets within the next 2-3 weeks.